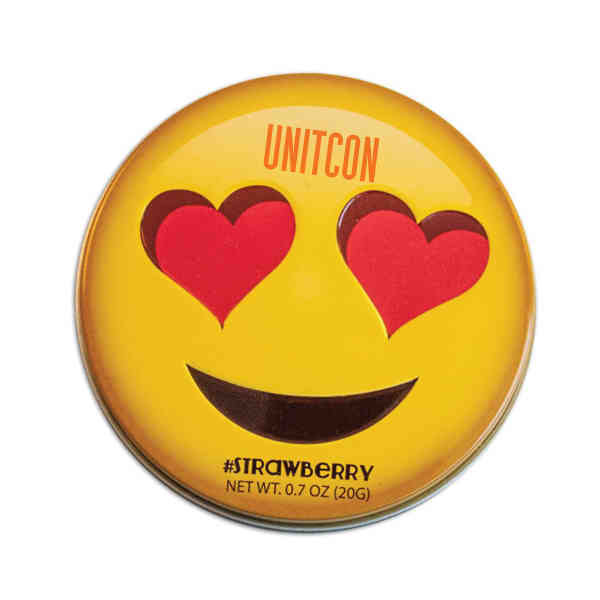 Show a full range of emotions with our custom Emojy Tins! Measuring 2 3/4" x 7/8", these round tins come in a variety of expressive faces and designs and can feature your logo or company name. Each tin is recyclable, shrink wrapped and contains approximately 0.2 oz. (20g) of non-melt peppermints. A great giveaway for social media events, tradeshows, school giveaways and anywhere else where you want to receive some brand exposure! Price Includes: Per spot color.